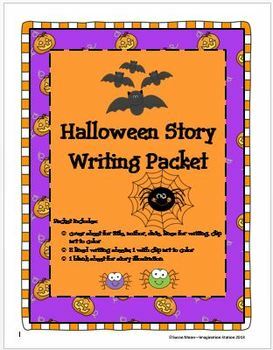 This Writing Packet includes a cover sheet with room for the title, author's name, date, writing lines, and clip art to color. It also includes two lined sheets for writing and a blank sheet for story illustration. Holiday fun with writing practice!! 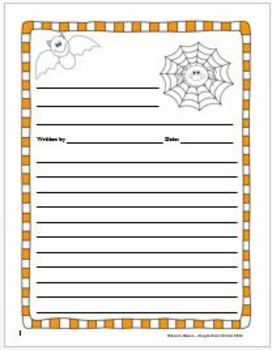 Halloween Story Writing Packet is licensed under a Creative Commons Attribution-NonCommercial-NoDerivs 3.0 Unported License.